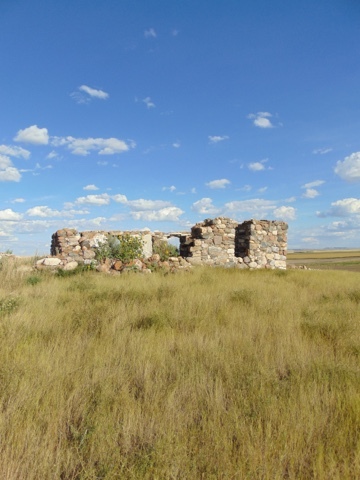 Old store and garage right beside Highway 36 in Saskatchewan on August 20, 2016. 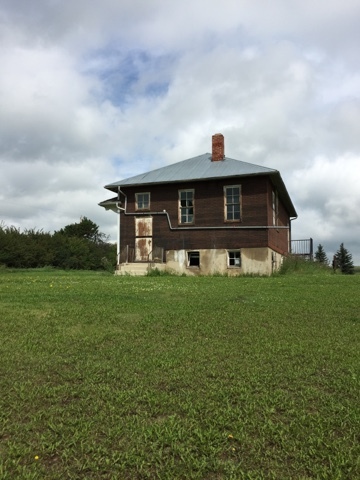 There is an abandoned house directly across the highway. I liked the look of this better. 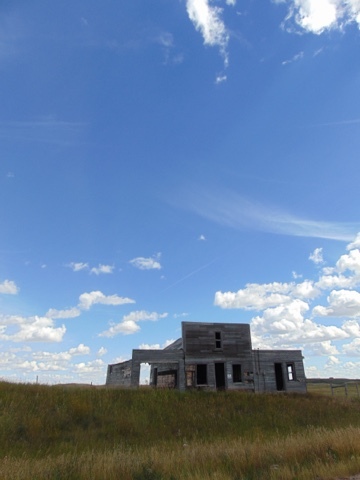 There are some empty lonely places on the prairie. I have read a few rants on some photo sites from photographers. There are some stating that the older ways were better when you had to develop photos in a darkroom and you had to learn the craft. The complaint is that since cameras and digital photography are easily accessible to everyone now everybody thinks they are a photographer. I think the ones that have talent and creativity will always rise above. The same with any field. I see it from a different angle. With good digital cameras being available at inexpensive prices more people can get involved. I like to run across other people out in the middle of nowhere taking photos. To me it means people are getting out and exploring their environment instead of staying at home playing video games. There may even be a few people out there who may discover they have a hidden talent. I lied. No one is demanding these. 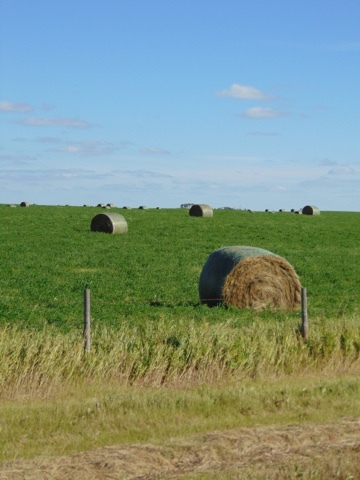 I have a thing for hay bale photos. Near Hand Hills Lake, Alberta August 28, 2016. I have a few odd abilities. None of them are any good. For some reason people think they know me from somewhere. I must look familiar or have sort of an every man look about me. It happened again today. I was buying a few groceries and a guy come up to me and said "Didn't we work together in Cold Lake?' I politely told him he was mistaken. I have never been to Cold Lake. I seem to have an easily recognizable voice. Not in a Gilbert Gottfried kind of way. I think I sound like anyone else. I can call up people I have not talked to in a few years and I only have to say a few words and they instantly remember me. This is one reason why I do not commit any crimes. If I did once they hear me they will say "That's the guy!" Lastly institutions easily lose me. A prime example was when I was taking university courses after work and after one year at this one place I was signing up for a new course. The university told me that I did not exist in their system. I had to produce a student ID and a prior transcript before they found me again. This has happened more than a few times. I would trade any of this for a bit of lotto luck. I got a surprise when I saw the one and only Wirecutter linked to my site. He may not remember me but probably about three years ago I emailed him for some advice on starting a blog. I did it just out of the blue and he responded. He gave me a lot of helpful advice and I never forgot it. He is a daily read of mine - sometimes several times a day - and once again I want to say thanks for the mention. In fact they are too friendly. Highway 40 west of Longview, Alberta on August 27, 2016. 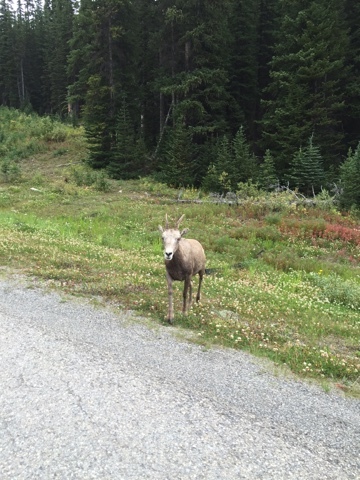 The Highwood Pass section of this highway is where this was taken and it is open only during the summer months. My friend was driving and I got her to stop at the side of the road so I could get a photo. 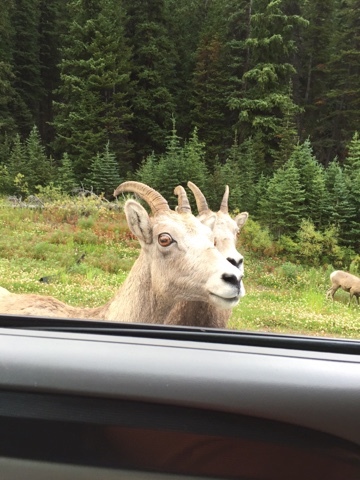 The very friendly wildlife had plans other than posing for a photo. 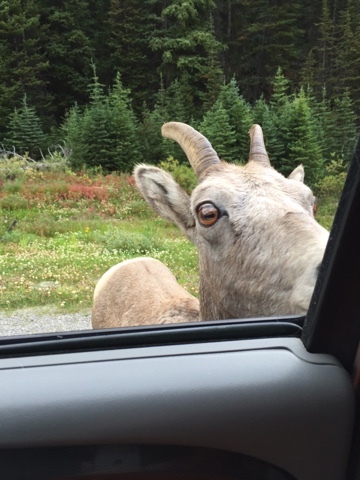 Right up the the window and stuck its head in. I have never had that happen before. Another one wanted to join in. I could have scratched them behind the ears if I wanted. I quietly got them to back off and we slowly drove off. I did not want to startle them and have something happen. 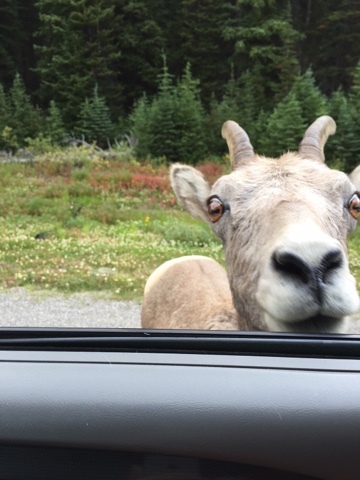 Like ram the vehicle. I hope no one was doing anything dumb like feeding them. 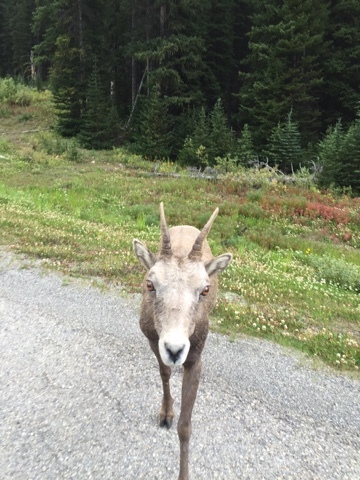 You do not want wildlife to get this friendly with people. Stopped here August 13, 2016. 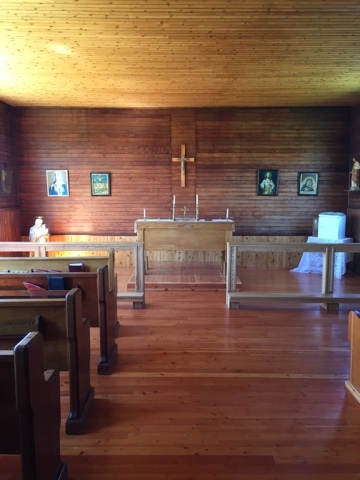 The church has been restored and is not in regular use. Dorothy itself is a ghost town. There was more here years ago. Some the buildings have been removed or demolished. There is a grain elevator left that will not last too much longer. A storm ripped off the roof of the elevator. 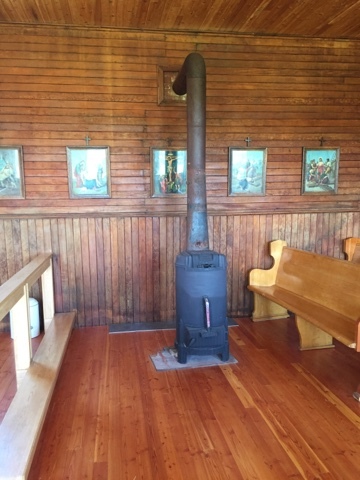 The stove is a "Warm Morning Model 520". I think I got lucky with this photo. 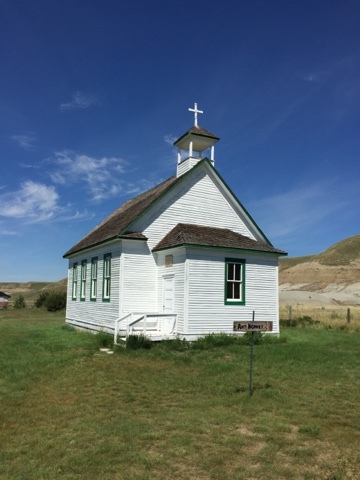 This church is at the north end of Dorothy. The Red Deer River is at the base of the hills in the far background. 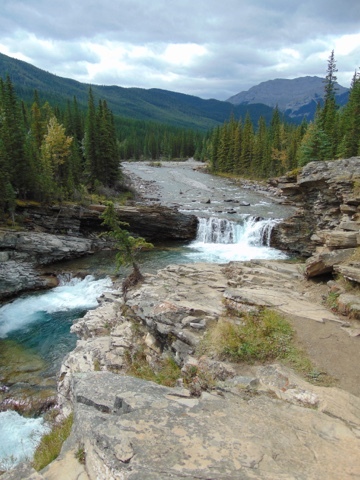 Sheep Falls west of Turner Valley, Alberta on August 27, 2016. 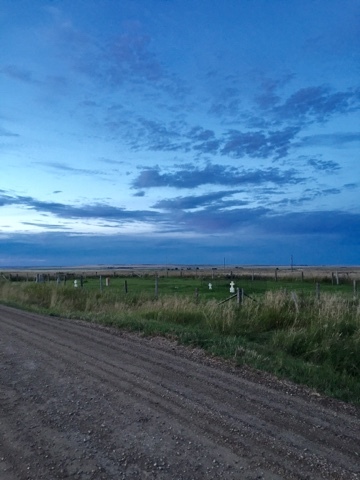 South of Rimbey, Alberta on Range Road 25 on August 6, 2016. This old school should probably be torn down. The doors are barred and it seems unsafe. Not all of these can be saved. 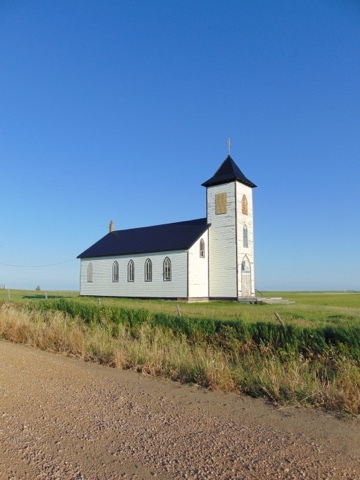 There really is nothing in Kelstern Saskatchewan except for a large newer church. 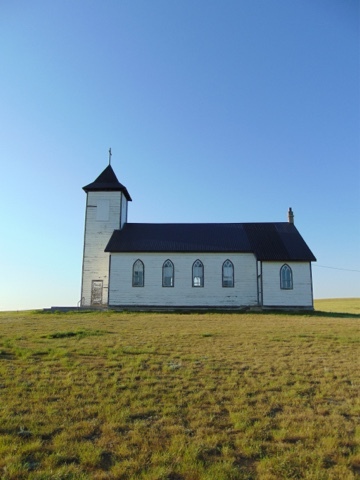 The church is a bit odd since there is no town these day so people must be doing a bit of travel to attend. 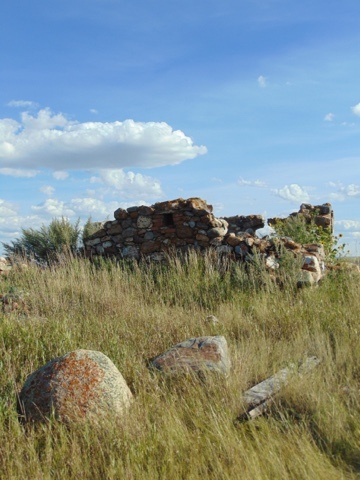 What was once a town disappeared over time. I like this. 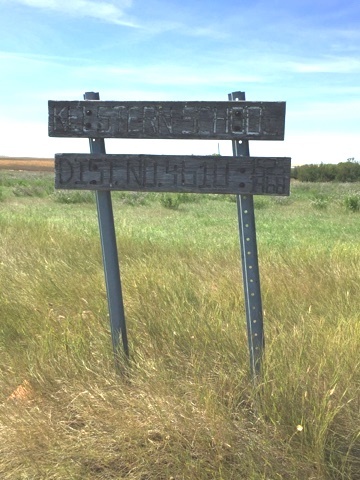 The sign reads: "Kelstern School Dist. No. 4610 1925 - 1968". The lettering has faded so badly over time that you cannot read it unless you are right in front of it. Someone did not have a lot of money to put up a marker. They worked with what they had as it was important to them that someone knows that a school once stood here. Beware of . . . 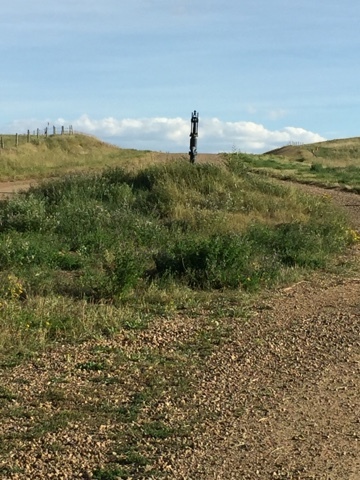 There are a few roads with a few tight corners in Alberta. 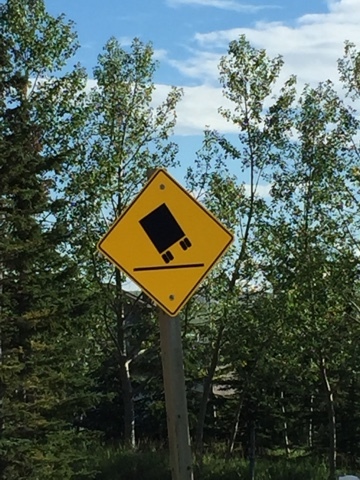 Spotted this particular sign August 12, 2016 near Airdrie, Alberta. Just drive. 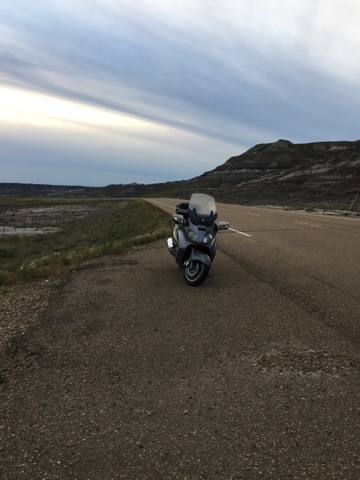 A quick run to Drumheller, Alberta and back tonight. Or I would but there is no full throttle thrill driving a 2012 Kia Rondo. On the other hand there is something to be said for the gas mileage. Also another blogger does the "Open Road" much better than me. 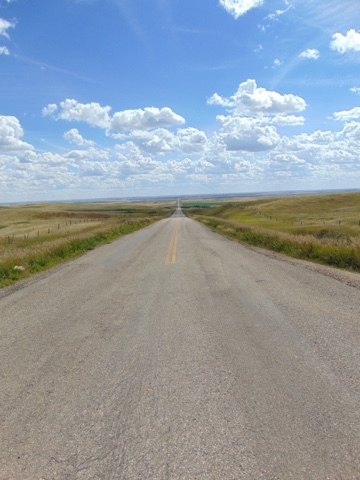 Highway 36 south of Moose Jaw, Saskatchewan August 20, 2016. Abandoned church. You see a number of them in very rural Saskatchewan. I have seen where people have moved into some or used them for storage. Some you see vandalized. This one looks like it has been left alone. I attended church services at sparodic times in the past. I may change that in the future. I do like the buildings and they once meant a lot to people. 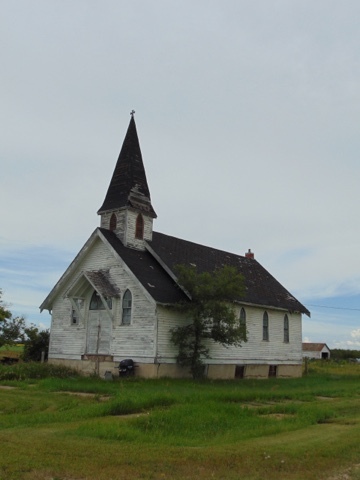 People have major events in their life held in these places and it does bother me a bit that some abandoned churches get treated with a lack of respect. If you cannot save them I would rather see them gracefully fade away undisturbed over time rather than used as someone's barn. Just a personal opinion. 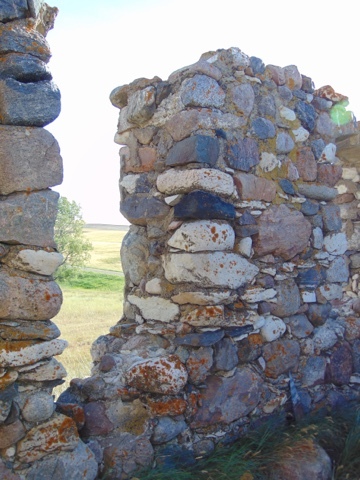 Former stone . . . house? Yes. 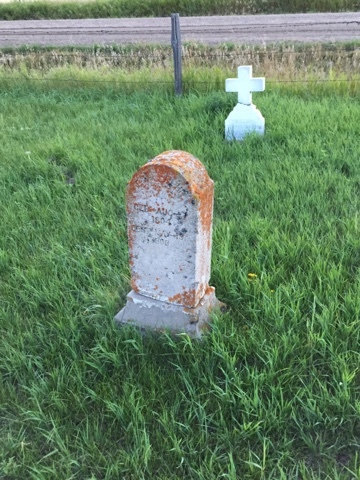 Spotted this south of Limerick, Saskatchewan on Highway 358 on August 20, 2016. 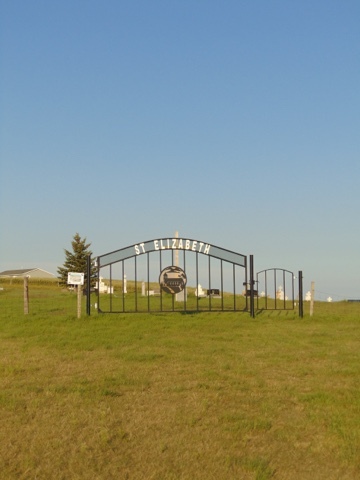 It is on a small hill on the west side of the highway. 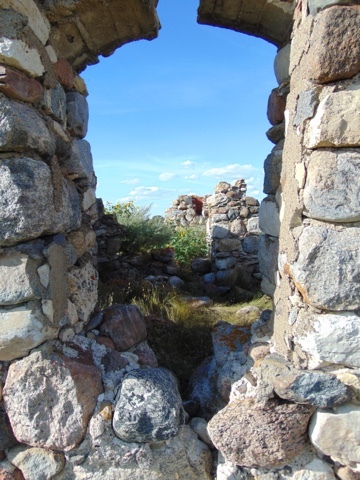 I thought it might be the remains of a stone house. After taking a close look I am not so sure. It is a little small. Farmers are a resourceful bunch so you do see some interesting sights in areas. 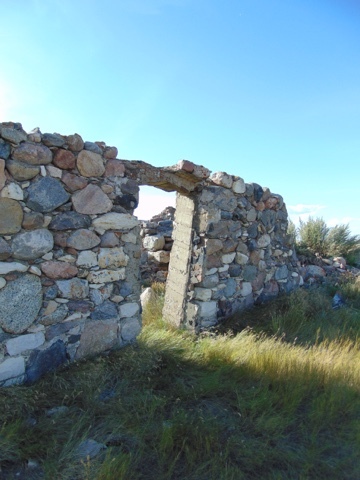 There are often a lot of rocks from clearing land and you can try to do something with them. Like build something. 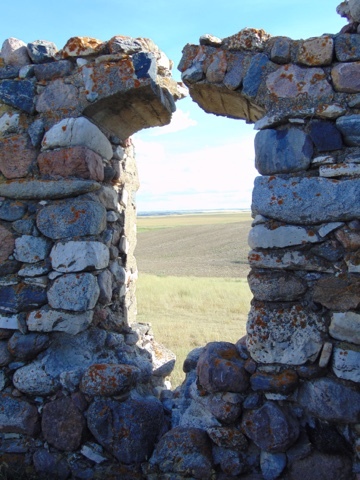 I know there are some stone buildings in Saskatchewan. This is the first one I have seen in person. Someone went to a lot of work to build this. Lugging the stones to the top of this small hill for one. The walls are about eighteen inches thick so a lot of effort was expended. I found the whole thing fascinating walking around it. 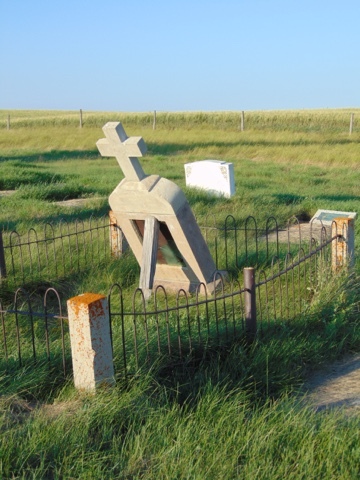 The really interesting part about this is that I found out after seeing this that it used to be the home of the Orthodox priest in Flintoft, Saskatchewan years ago. 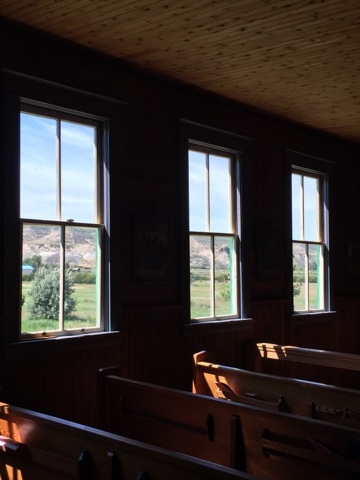 It was also used to house visiting clergy. They must have been short people. It is not a tall house. This is one of my favourite things that I have run across. A very neat sight. 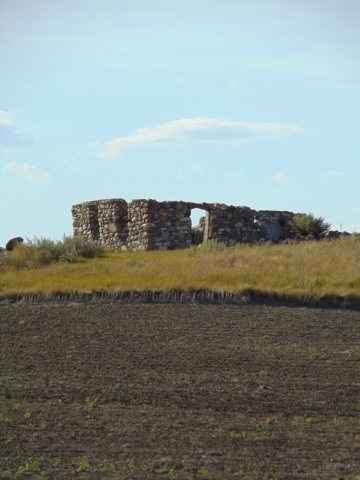 Off of Highway 41 south and east of Medicine Hat, Alberta. 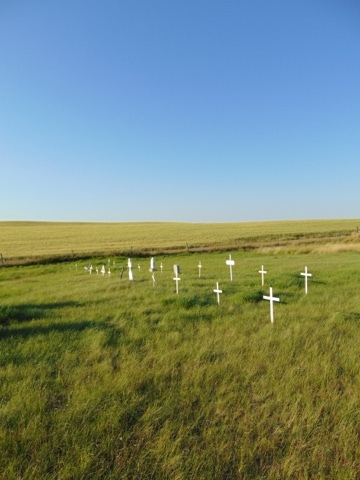 There are supposed to be thirty-five burials here. There are not that many markers when I got here. The sun was starting to go down when I found this on August 19, 2016. 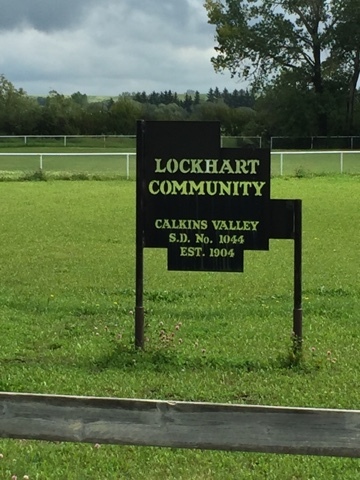 A marker was put up years ago. "St. Peter's Ev. 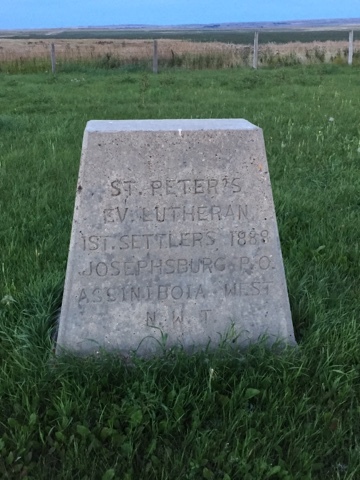 Lutheran 1st Settlers 1888. Josephburg P.O. 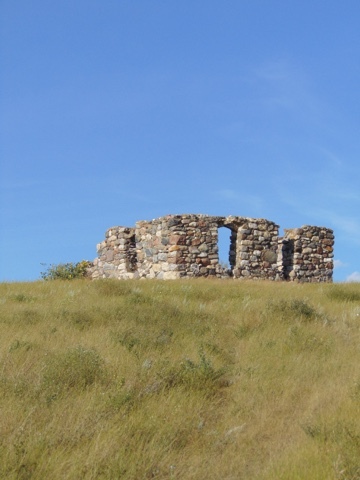 Assiniboia West N.W.T." 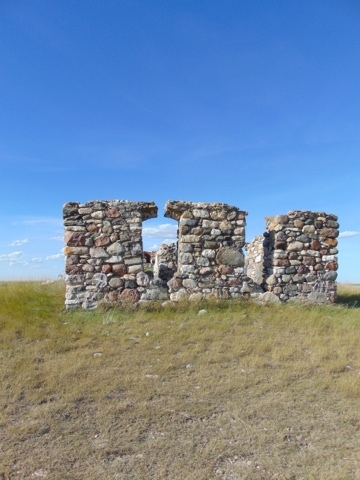 Alberta was not a province until 1905. Latvian makes it interesting. Groups came to Canada from all over to settle in the middle of nowhere. Canada is still a lot of empty space. 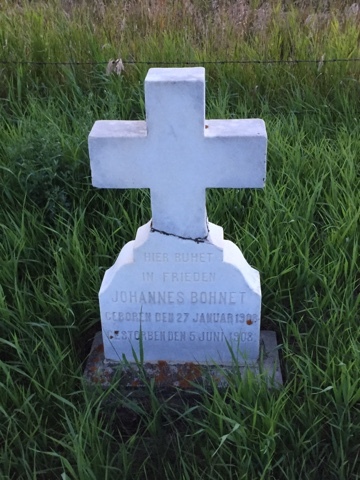 There is a Finnish cemetery near Manyberries which is south and west of this place. It is on my list of places to visit. 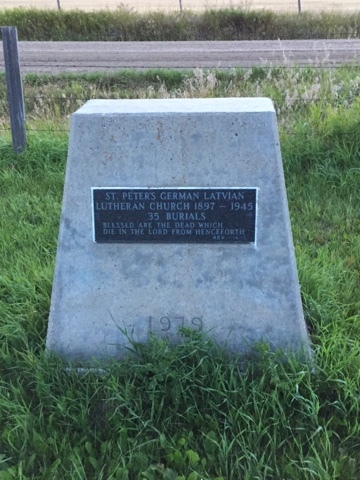 The back reads: "St. Peter's German Latvian Lutheran Church 1897 - 1945 35 burials. Blessed are the dead which die in the Lord from henceforth. 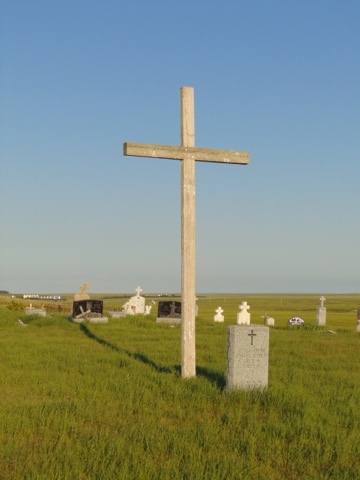 Rev 14:13"
There are a few headstones still standing. Very plain. No name that I could see. Quiet lonely place. Nothing nearby. Twilight on the prairie. Today I have officially got over one hundred thousand page views and to date I posted over one thousand entries. This is nowhere in the league of other bloggers however I am surprised anyone reads this in the first place. 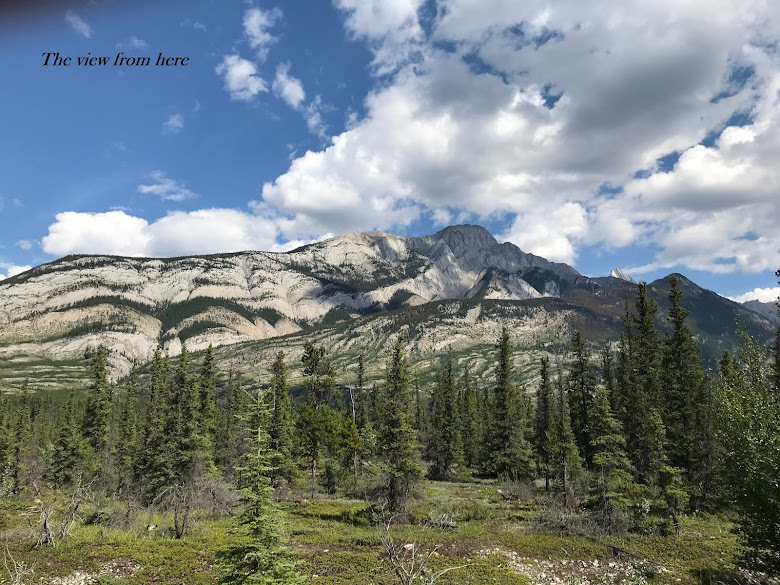 Since it has taken me this long to get this many views starting tomorrow I have decided to take this blog in a totally different direction featuring scantily clad women in revealing exotic attire. I am leaning towards leather. This should increase my audience. 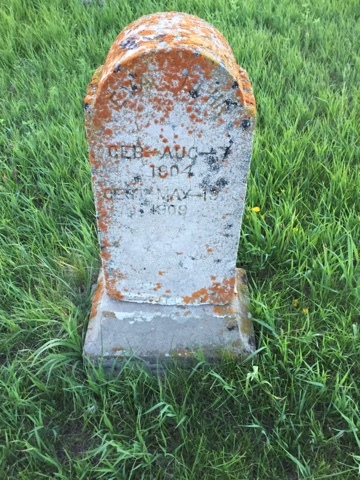 Or tomorrow might feature a post about an abandoned cemetery since I already have it scheduled. 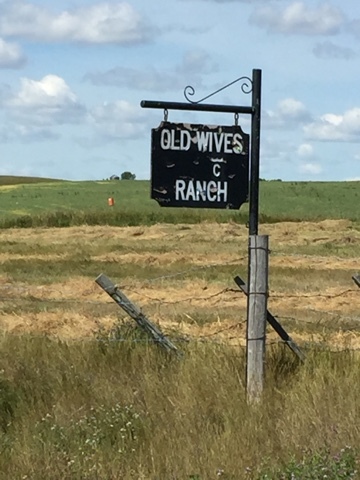 Old Wives is an actual place in Saskatchewan. I drove through August 20, 2016. There is no official sign pointing it out. 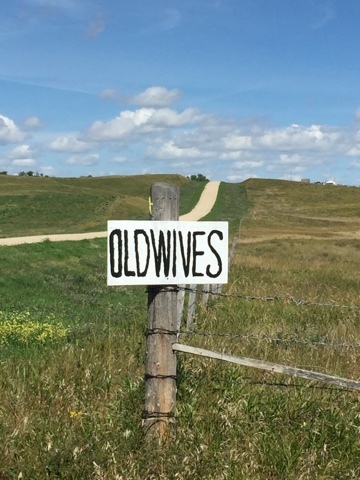 Apparently Old Wives is named after a legend that a Cree camp was attacked by the Blackfoot and the older women could not escape and drowned in the lake trying to get away. Officially Old Wives has a population of zero. 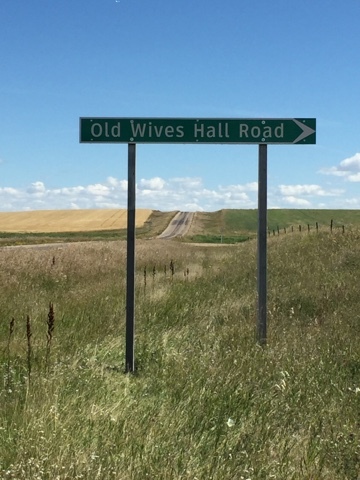 I am guessing that from Highway 363 that Old Wives is or was at the top of the hill on the gravel road. 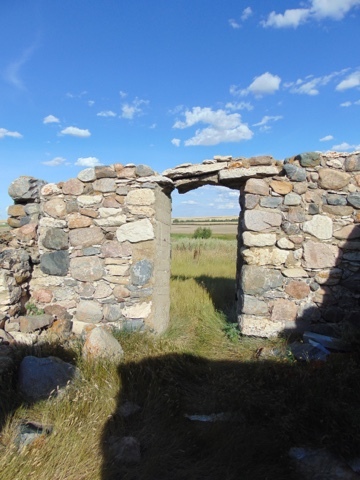 I drove up and there are a couple of farms at the top with some old buildings on the property. I declined to take any photos at they were surrounded by junk and falling apart. This is from the top of the hill looking south. At the horizon is Old Wives Lake. This is just by the intersection. 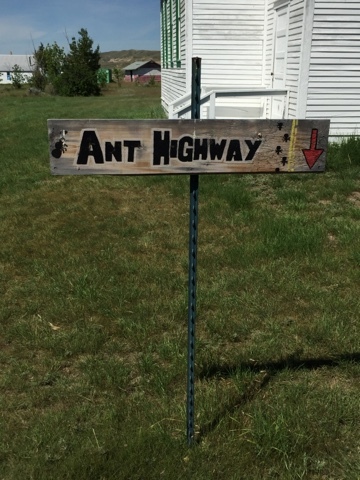 The ranch has a mobile home on the property so I just took a photo of the sign. 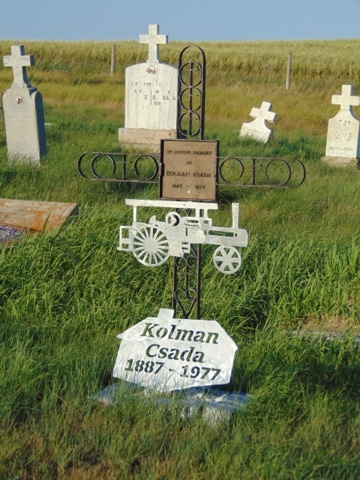 The only official sign marking what once was a place where people lived. 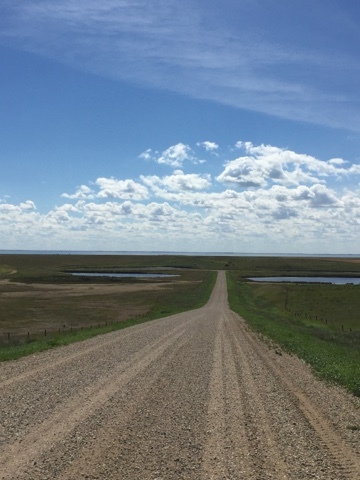 This is the road out of Fir Mountain, Saskatchewan where there are no mountains and the remains of a town. In the middle of the road is a hand pump. 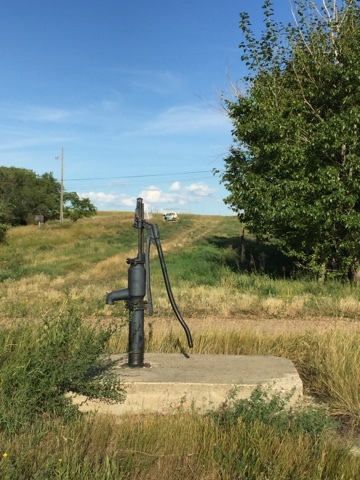 The pump has a piece taken out of it so it is no longer usable. It is an odd place for it. You can see this on Google Street View. 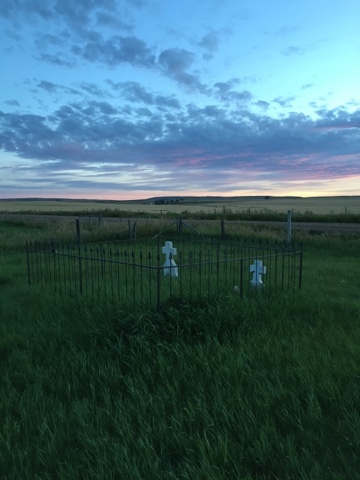 West of Gravelbourg, Saskatchewan on July 31, 2016 north of Highway 43. 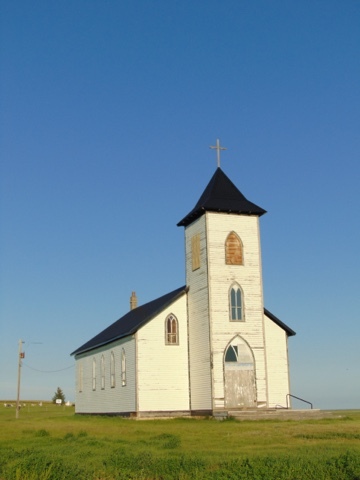 The church is no longer in use and is locked. A quick look inside shows everything is intact. I was unable to get a photo of the interior. 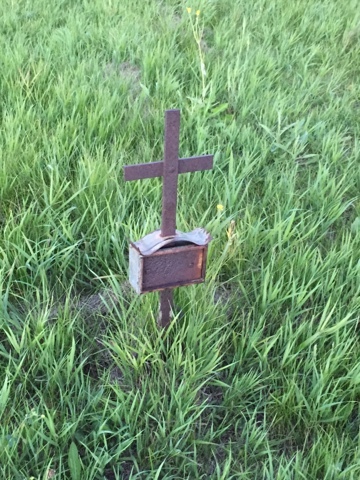 I have always thought a simple cross said more. 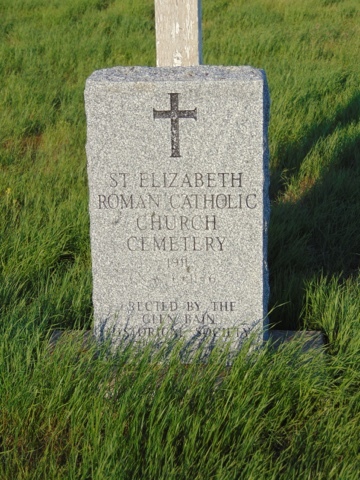 "St. Elizabeth Roman Catholic Church Cemetery 1911 erected by the Glen Bain Historical Society." I like unique markers. The bottom repeats the top. A quick fix that I hope someone comes by with a more permanent solution. 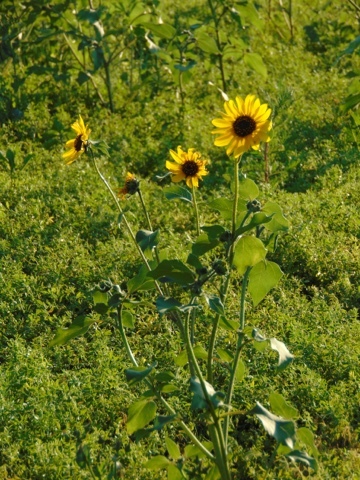 I saw these all over southern Saskatchewan. Sometimes the best place to be . . .
A quick stop in . . .